Sleekr Accounting now enables you to add a signature in the footer section of your invoices. Choose signature option: 1 - 4 signature. Determine the name and position of signee. Upload a file containing the signature of the signee, and comply with the format recommended by Sleekr: 255 x 110 pxl and maximum file size of 8MB. Note: signature upload option is only available for 1 signature. 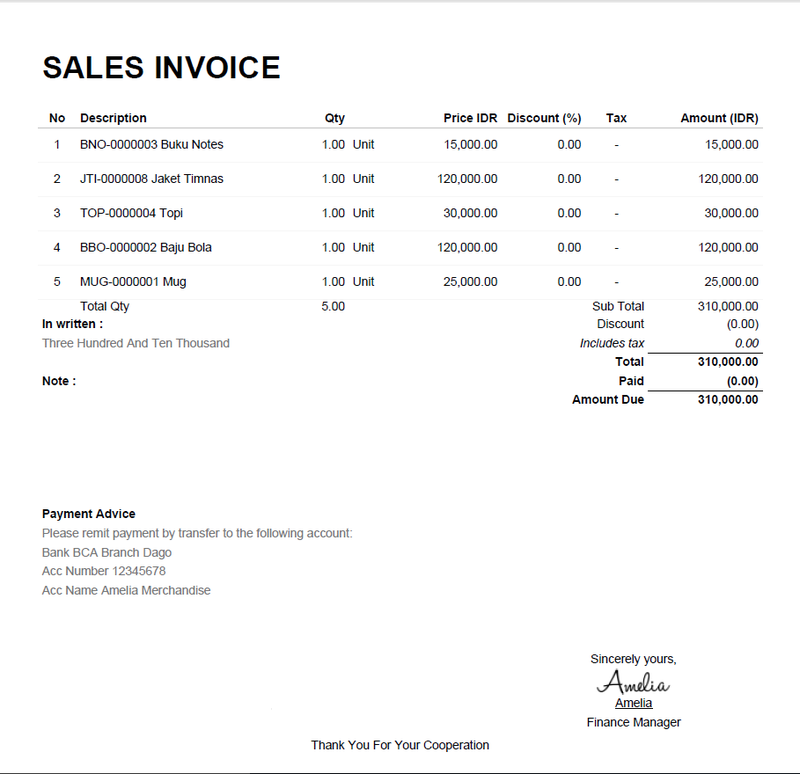 For more than one signature we recommend that you print the invoice and manually sign the document. Click on Save Configuration once ou are done and all you have filled in is correct. You will able to tick the Show Signature box to display your signature on your inbox. Alternatively untick it to hide your signature. All of the above applies to your Sales Quote, Sales Order and Purchase Order.